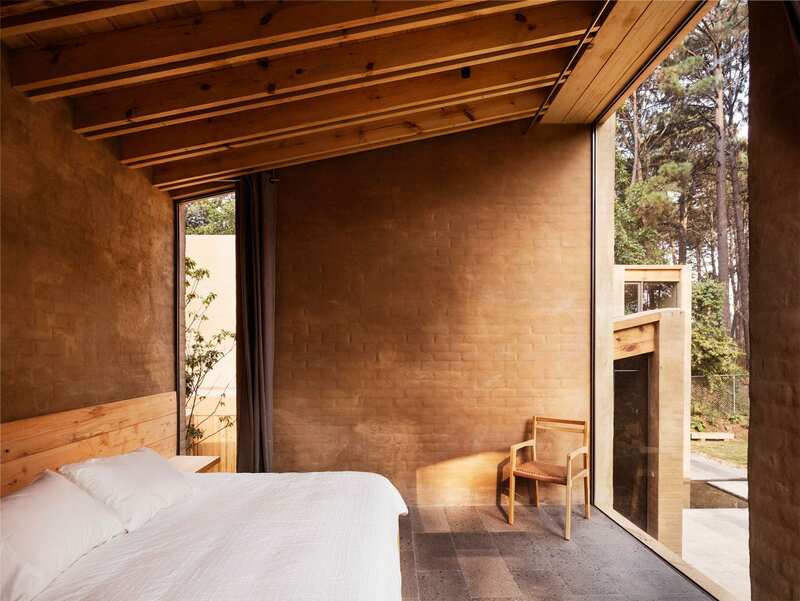 Entrepinos Housing in Valle de Bravo, Mexico by Taller Hector Barroso. 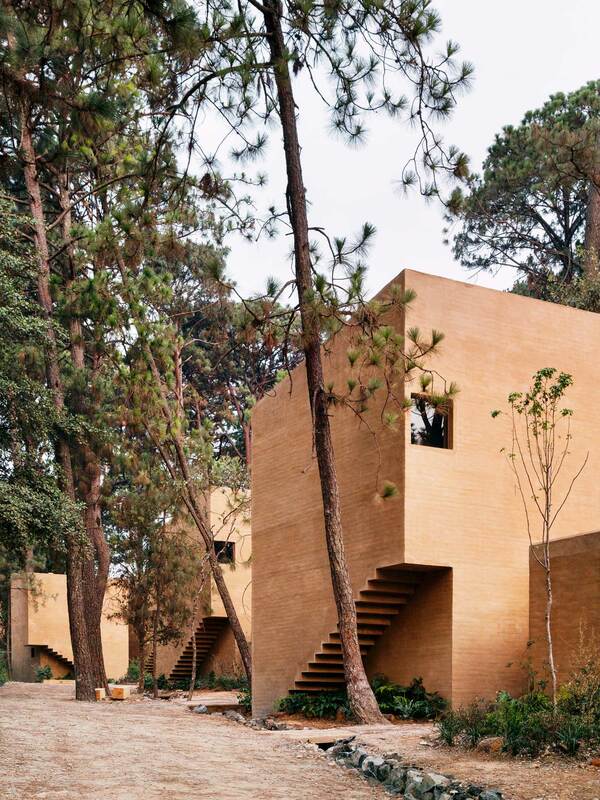 Five terracotta-coloured homes emerge from the earth and peer through the magnificent pine trees in Valle de Bravo, Mexico. 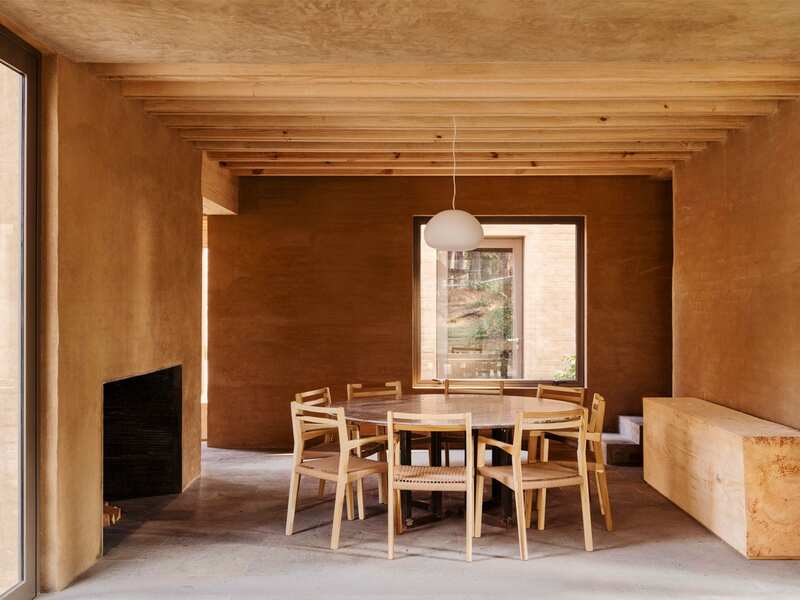 These monolithic beauties have been rendered in the soil from which they were born and embrace local materials such as timber, brick and natural stone. 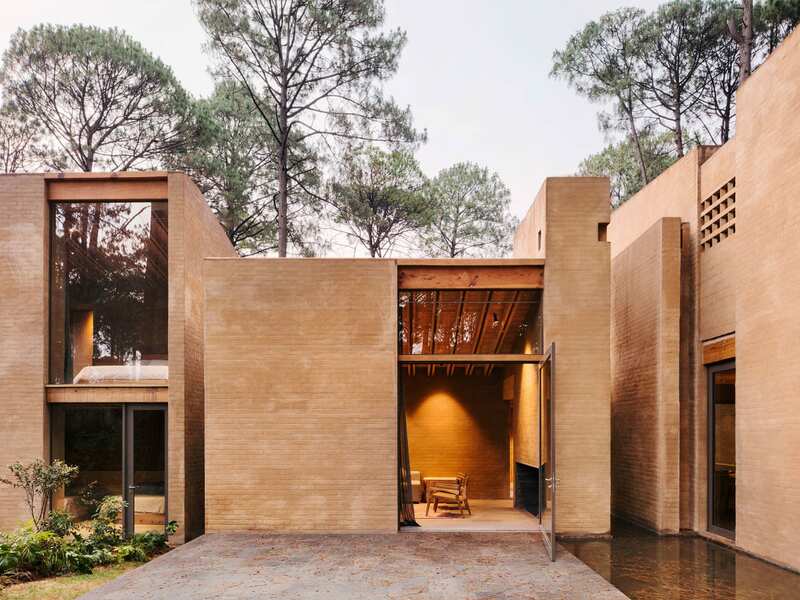 Designed by Mexico City-based architects , Entre Pinos housing is an ode to its natural surrounds, celebrating the simplicity of materials and form. The five buildings are identical and have been arranged sequentially, adapting to the topography of the land. 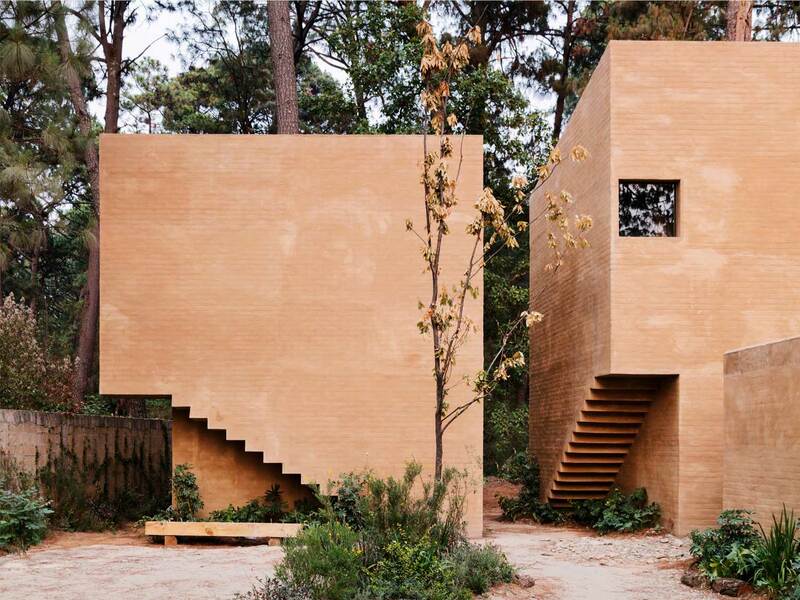 Each one is made up of a series of blocks of varying heights that are grouped around a central void and patio space. 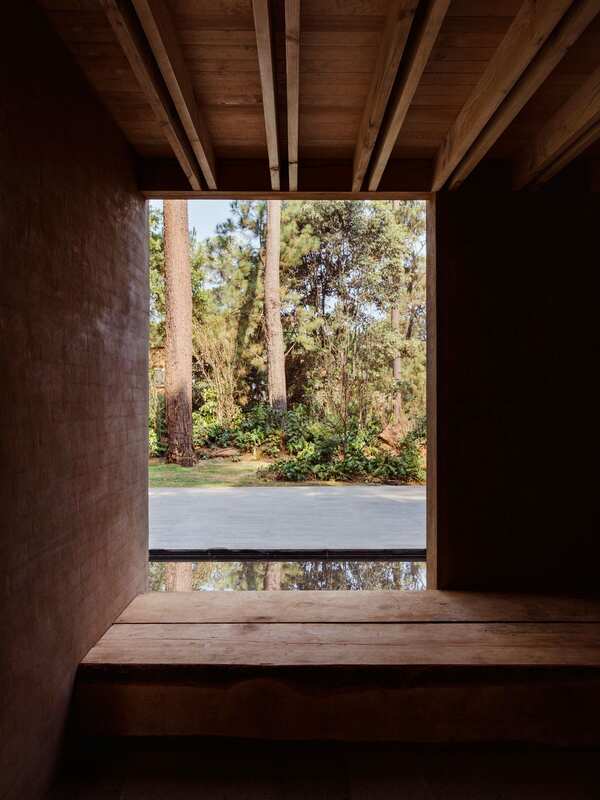 According to the architects, the landscaped patios “grant views, silence and intimacy” while also acting as an extension of the surrounding forest. 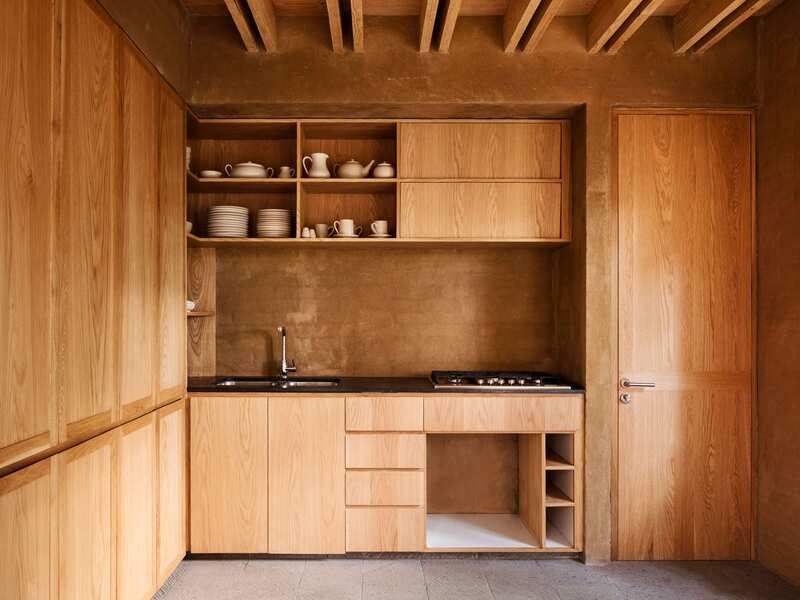 The volumes of each house are mostly solid, closing themselves to the north and opening up to the south. Full-height windows and glazed doors maximise natural light in south-facing rooms such as the living area, dining space and bedrooms. 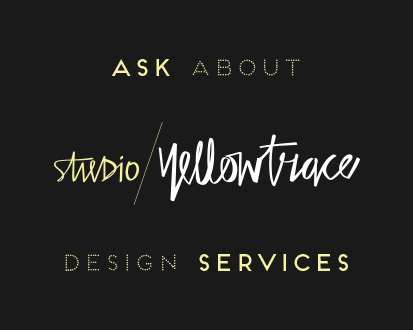 In contrast, the northern end has few openings lending itself to the private spaces within. 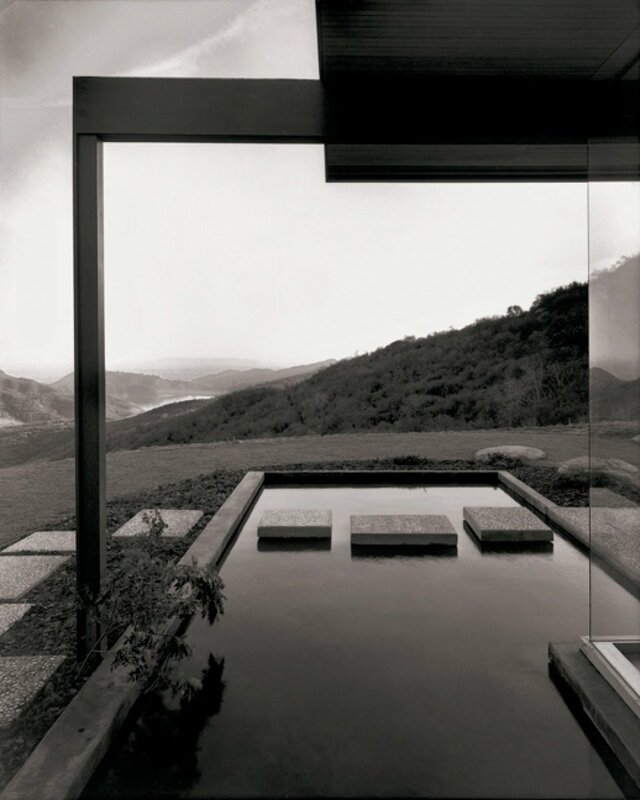 A covered wooden walkway connects the eastern and western blocks, extending out to a stunningly serene reflective pool beyond. The articulation of the staircases is pretty darn impressive. 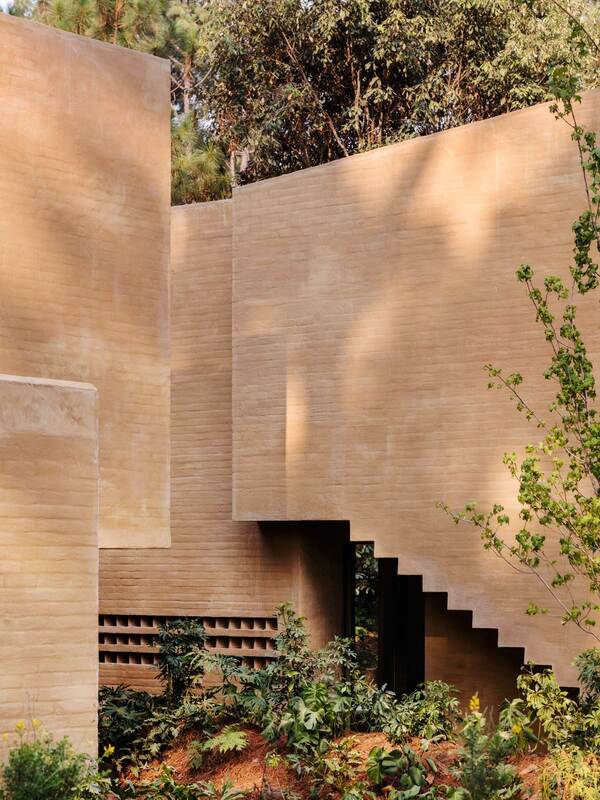 In lieu of an internal staircase, three external staircases ascend along the sides of the blocks. These allow inhabitants to enter directly into the bedrooms on the upper floors which can remain independent of one another. An interesting play on positive and negative space, the stairs are all exposed on the underside and seem to hover above the ground. This cutaway detail is a masterstroke where the monolithic volumes have been expertly sculpted to enhance moments both inside and out. 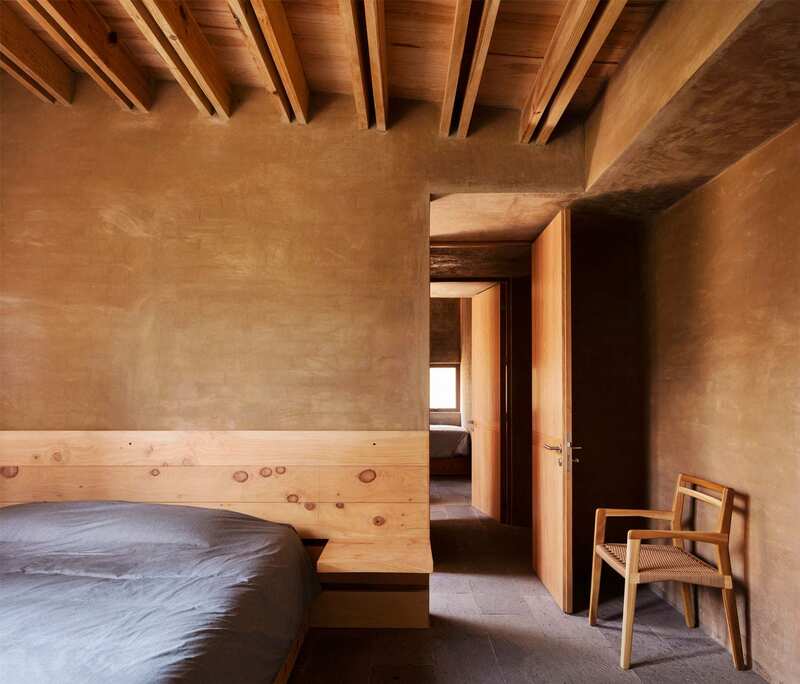 The orange earthy tones of the rendered brick are carried through into the interior spaces where the vibe is anything but monotonous. 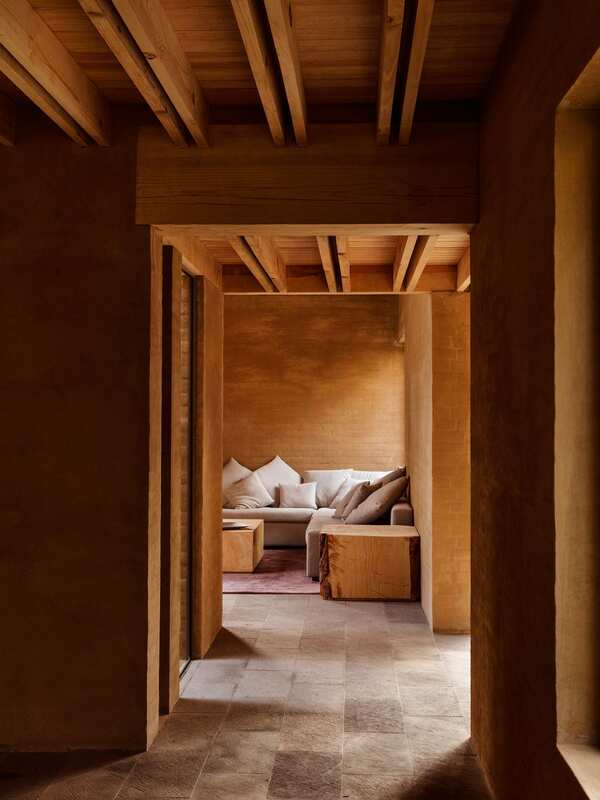 The spaces are full of texture, light and warmth. 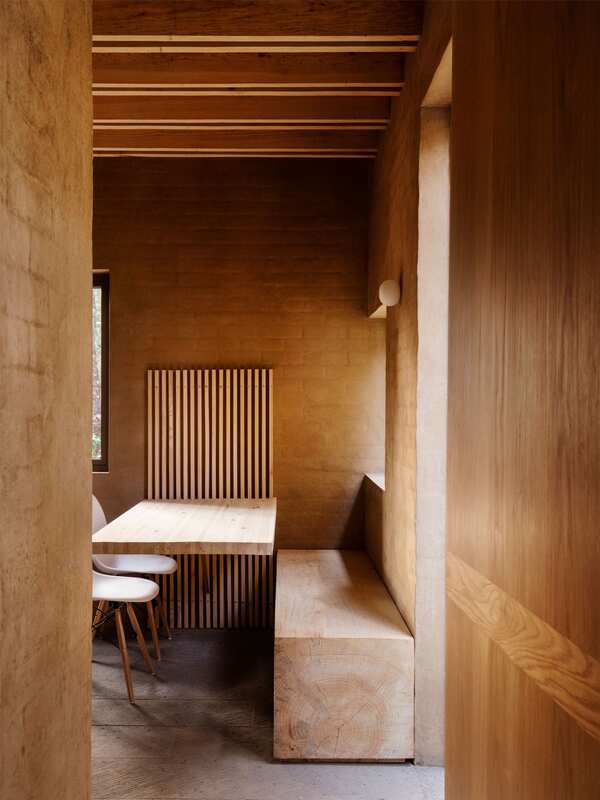 The interiors are minimal but hauntingly beautiful with exposed timber beams, wooden joinery, solid timber furniture and contrasting stone flooring. 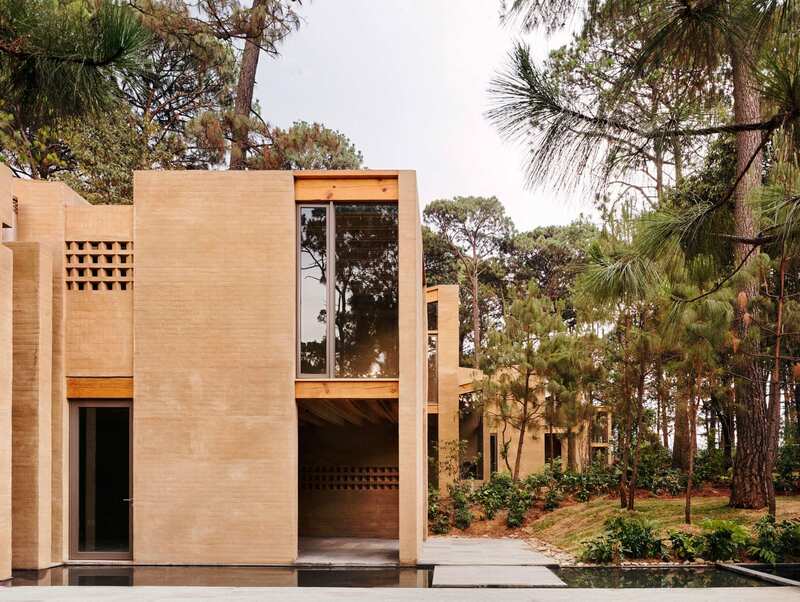 Entre Pinos housing not only emerges from the earth and soil, it is also the culmination of its immediate context of soaring pine trees, lush forest and undulating mountains. 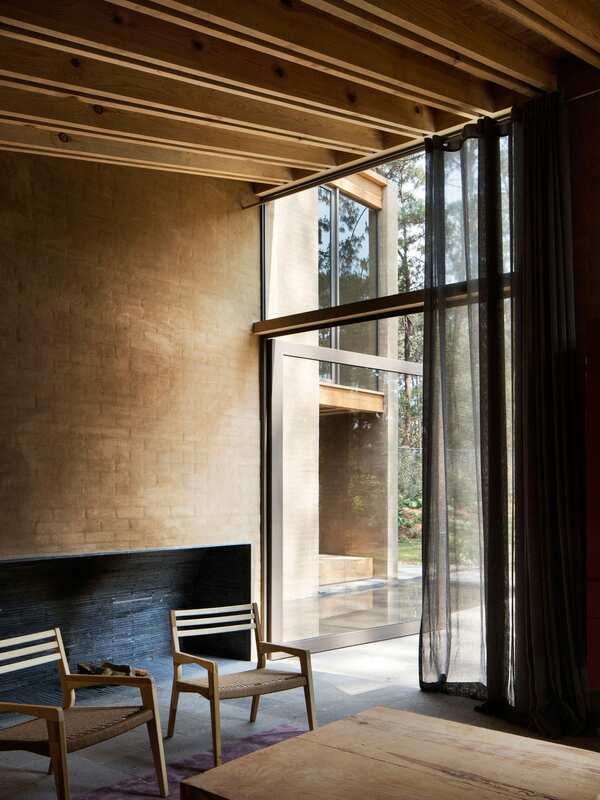 The setting, framing of panoramic views and the use of local materials celebrate its intimate interaction with nature. This is a fine example of architecture evolving from place, and the result is simply superb! Blushhh Secret Shop in Kiev, Ukraine by AKZ Architectura.